Little by little we got better at what we did, and after two or three years we’d improved our skills and our processes, grown to five people, and we were in a position to do something with that productivity. So we started taking Fridays off. Still wrapped mentally inside the necessity to work forty hours, we tried rearranging them: we worked forty hours over four days, ten hours from eight in the morning to seven at night, an hour for lunch: we left home as our partners were eating breakfast and got home as they were eating dinner: we left home in the winter dark and got home long after it was dark again. After six months or so we said stuff it: let’s just do four normal eight-hour days. Thirty-two hours, not forty. And it worked. Anyone can work a couple of long days if the need arises, but doing it every day is grinding and we really weren’t at our best. It’s not so bad if you live alone, but if you have someone else in your life, it gets difficult. After six months or so we said stuff it: let’s just do four normal eight-hour days. Thirty-two hours, not forty. And it worked. We seemed to get the same amount done as we did before, only now our partners liked us better and we got to see the daylight. We turned some of that productivity into time. We converted 20% less work into 50% more weekend. 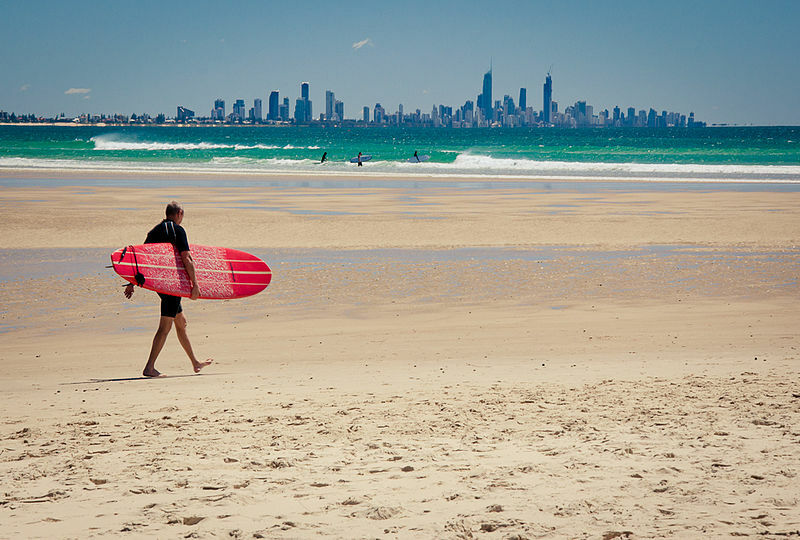 A normal full-time employee in Australia works around 228 eight-hour days a year. It’s too much. The fact that we’re used to it, that we’ve been habituated to a five-day week since childhood, doesn’t change the fact that it doesn’t leave enough room in our lives for the other things that make life worthwhile – for family, for community, for reading and thinking and playing. 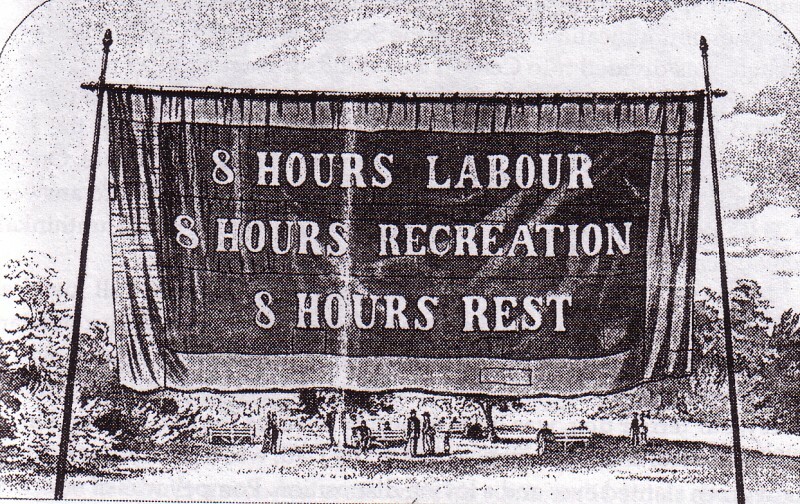 Unions successfully fought for an eight hour work day in the 20th Century. Now it is time to go even further. In a newspaper article about our four-day week, a local business chamber representative said that many workers already had access to flexible working hours. That misses the point. We’re not saying that everyone must work a four days: what we’re saying is we should shift the expectation about what constitutes a full working week. When workers negotiate part-time hours within a full-time context, they become “othered”: their shorter week is deviant; they are much less likely to be considered for promotions. Going part-time is a career-limiting move. It will come as no surprise that those whose careers are thus limited are mostly women: the Australian Workplace Gender Equality Agency reports that women comprise 46.2% of all employees – but 71.6% of those who work part-time. Women, then, are more than twice as likely to be part-time and miss out on career advancement opportunities available to full-timers. For some, any reduction in hours means not having enough money to pay the bills. When wages are low and prices are high, even working full-time might not be enough. It is impossible for a minimum-wage worker to rent a one-bedroom flat in within forty kilometres of Sydney’s CBD. That means people who clean our offices and wipe down our food-court tables, the responsibility for driving down their their wages conveniently outsourced to labour-hire companies, have spend additional time and money – neither of which they have to spare – just getting to their multiple jobs. We need to make it possible for everyone to lead a meaningful life outside work. Taking every Friday off turn 228 yearly workdays to 182 days. 182 days is just under half a year. That’s work-life balance. Of course, there’s nothing magical about 32 hours a week. It’s just that at this point in time it’s a reasonable tradeoff between earning capacity and living opportunity. As time goes on we become more productive: we need fewer hours of work per unit of output. The choice is about what to do with that productivity, and so far, the choice, according to industry and government, is to increase the number of units. The industrial revolution was the story of dramatic increases in productivity as physical labor was mechanised, as muscle power was replaced by machines. We’re starting to see a similar revolution in productivity as mental activities are automated. The fear of technological unemployment is prompting discussions about how to deal with all those unemployed white-collar workers. (When technical advances unemploy blue-collar workers, it’s progress: when it happens to their managers, it’s a problem). We’re seeing an increasingly bimodal distribution of work: high-status employees are overworked, but paid well: low-status workers’ jobs are casualised, part-time, and precarious – and what growth in jobs there is increasingly in the latter category. Two solutions come to mind. Firstly, we could spread the work around more. If those working 40+ hours a week downshifted by 20%, that would open up employment opportunities and share the wealth around. More profoundly, we could decouple employment from income, and provide a universal basic income – a living wage paid to every person, no strings attached. The idea is gaining traction, and is, unusually, supported by both progressives and conservatives. Of course such a thing has to be paid for. As with the industrial revolution, we’re likely to see the profits from widespread automation accumulate to the owners of the new technologies: it’s our job as a society to distribute our societal gains equitably. We can’t privatise the profits of automation and socialise the losses, much as the owners would like to. WHAT SHOULD WE BE PAID FOR? Other types of work, though, are not so easily quantified. Most knowledge workers, which increasingly, we are all becoming, have more diffuse responsibilities whose outputs are not so easy to arithmetically evaluate. How much project-management is the right amount for a day? Should a programmer rest once they have written a certain number of lines of code? Should a writer’s output be valued by the number of words they produce? Focusing on outputs also means devaluing those whose contributions help others. The person at the top of the pyramid – the surgeon, the lawyer, the politician, the businessman– has almost certainly been scaffolded in their performance by less-visible support staff – and, more invisibly, by their spouses. It’s no coincidence that in our society those supporting roles are disproportionately occupied by women. But these pragmatic difficulties mask a more profound difference, in which, rather than as compensating for service, we re-conceive work as an exchange between two equals. The employee is selling the company their time, and the company is in return providing money. That exchange recognises that the employee’s attention is valuable, and pays them for that attention. In recognition of this, our employment offers and our salaries are based on a 32-hour workweek. We ask people to provide us with 32 hours of their attention, and we give them money in return. Here’s a secret: people don’t stop thinking just because the clock’s off. If you’re trying to come up with a brilliant idea or solve a problem, you’re more likely to solve that while you’re having a shower or doing the dishes. Banging your head against the computer doesn’t solve problems: instead, load up your mind, go for a walk, and let your unconscious do its thing. There are plenty of ways to work 32 hours in a week. Which 32 hours should they be? 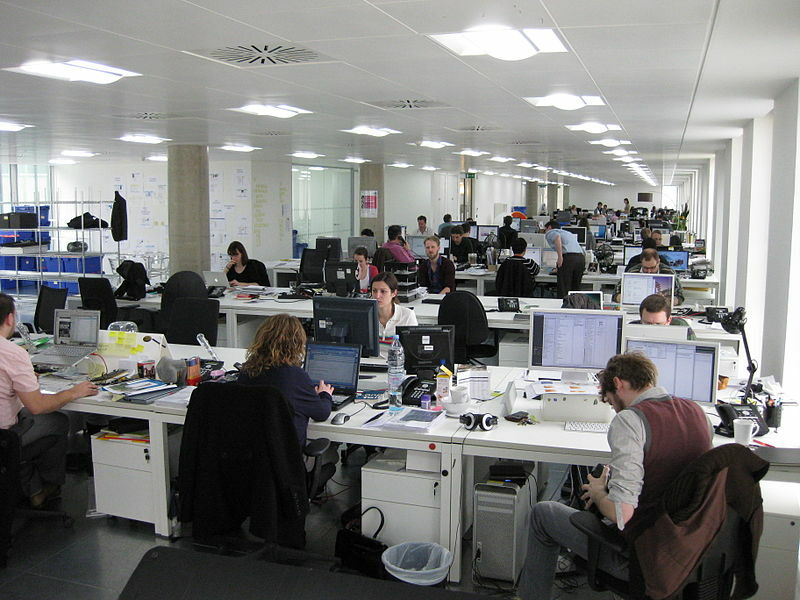 Our nominal workdays are Monday to Thursday, eight hours a day, four “normal” working days. Structuring it like that makes us more-or-less compatible with the rest of the working world: we can share rides into the office with our partners, eat dinner with them after work, and each Friday we get a day to do our own thing. There are reasons to prefer a synchronised team. While some of the work we do can be performed individually, most of it requires others: our work connects with, supports, or depends on that of others – including others outside our company. Being able to communicate with them efficiently is important. Asynchronous communications are acceptable, but there are other times when discussing in problems in realtime gets things done. When you only have four days, you need to make each of those days count. When no-one is working, no-one is expected to work: just as we wouldn’t expect a regular worker respond to an email on a Sunday, our evenings and our weekends and our Fridays are down-time. That’s working together. But there’s another benefit of having agreed work hours, and that’s having shared time off. When no-one is working, no-one is expected to work: just as we wouldn’t expect a regular worker respond to an email on a Sunday, our evenings and our weekends and our Fridays are down-time. Having pervasive communications capability via mobile devices means that some workers are always “on”, always reachable, always able to be obligated. We need time off. In Australia, we are at our best in the week between Christmas and New Year. Walking on the beach with our families, rich and poor are equal, sharing in the democracy of the thong. Sometimes that genial state extends for a summer month until the end of January, a month during which reasonable people avoid making critical demands of each other. Each weekend, most of us get a little taste of that back. We want bigger bites. Four days is optimal for us, but there are other ways to do it. One alternative might be to work five shorter days of little over six hours. That would make sense, say, for someone with school-age children. However, that means you miss out on three-day weekends, and you spend just as much time commuting as you would working forty hours. Going the other way, you might try for three long days of ten or eleven hours. That’s hard both on yourself and on your family. However you do it, we can’t avoid the fact that the rest of our society is working to a conventional schedule. It’s also a matter of your ability to concentrate, and the kind of work you do. Most of us are only capable of focused, difficult work for three or four hours: after that, our productivity decreases. Fortunately, most of us have different kinds of work in our day: not all of it requires our most concentrated attention. Working less is good for personal growth and social equity. It’s also good for the environment. Working fewer days reduces transport impacts. 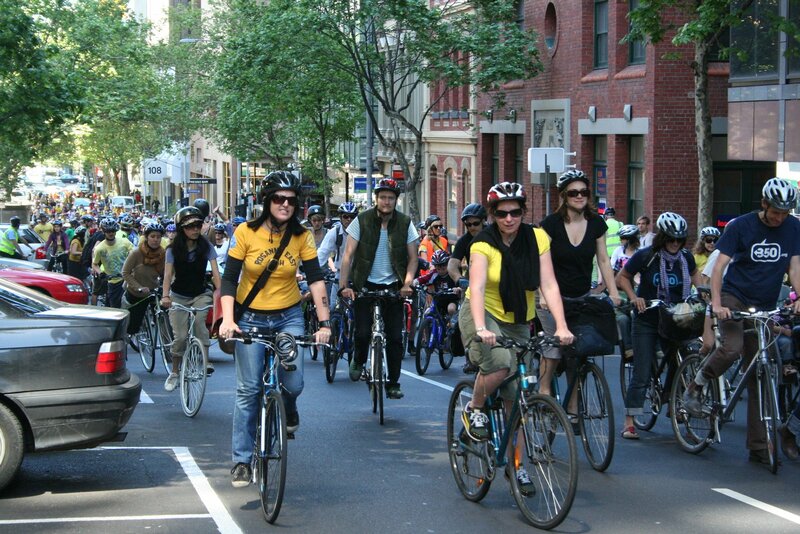 Everyone reading this knows that walking or cycling or taking public transport is environmentally preferable to driving a private car, but our cities are poorly structured and inadequately funded for non-car travel. Few of us feel good when stuck in traffic on the way to work, surrounded by hundreds of slow-moving cars, most with just one occupant inside, each one resenting the presence of the others. Four work days instead of five means 20% fewer commutes: a win for ourselves and for the planet. It also means reduced demands on transport infrastructure, which translates into fewer freeways being built and more revenue available for worthwhile expenditure. Working less helps in other ways too. Unless your industry is one of the very few whose activities are a net positive for the environment, reducing work hours is almost certainly an environmental win. In a television panel he and I shared – ironically, on a Saturday morning – AIG’s Innes Willox said that Australia’s focus in these difficult economic times must be on productivity. And to some extent I agree: productivity is important, particularly when you work fewer hours. But AIG seems to be misunderstanding both what productivity is, but also what it’s for. As we get better at work, we need to do less of it produce the same amount of value. Alternatively, we can extract more value out of the same hours worked and call it economic growth. But what is that growth for? What do we do with that extra productivity? In the last 20 years, Australian productivity has grown by around 25%. What have we done with that productivity? We certainly haven’t turned it into fewer work hours, or we’d all be working four-days weeks. The average Australian is no better off than they were two decades ago: wages have stagnated in real terms, yet our GDP is higher. Where did the money go? Most consumer goods — cars, computers, clothes, televisions – are cheaper than they used to be. Three categories have become dramatically more expensive, however: higher education, electricity, and real estate. A shorter working week means more time for recreation. If as a society we think that education, energy, and a place to live should get more expensive over time, then perhaps that is a good use of our productivity gains: we should keep on deregulation and defunding of universities; we should continue privatising our energy infrastructure; we should continue shaping our housing tax policy towards investment and rent-seeking. But if we don’t think that a way for us to flourish, perhaps we should reconsider our priorities. It’s not obvious that the way to solve the societal and environmental problems caused by economic growth is to call for more economic growth. Perhaps what we need instead is more time to think, more time to live. Every day, once gone, is gone forever. You can make more money. But you can’t make more time. Next Article → Is Social Democracy Ever Coming Back?